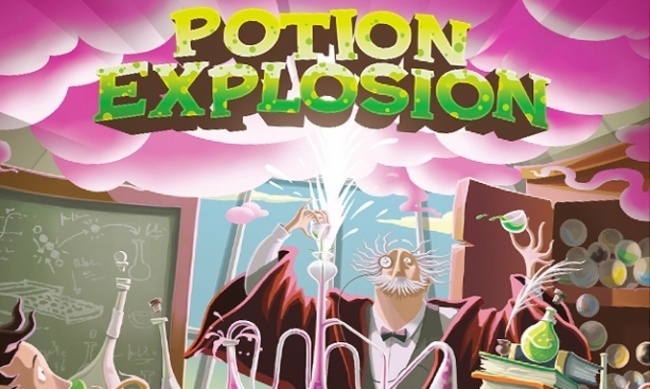 Horrible Games' popular set collection game Potion Explosion will be getting a new edition and new expansion, both premiering at Spiel in Essen in October. Designed by Lorenzo Silva, Andrea Crespi, and Stefano Castelli; Potion Explosion is a family puzzle game where players are students in potions class trying to collect magical marble ingredients from a dispenser to craft potions. Players take an ingredient marble on their turn, and watch the other marbles fall. If marbles of the same color connect, they explode and the player can take them too. Brew the most valuable potions to win the game. Potion Explosion: 2nd Edition includes a plastic dispenser which is an improvement over previous cardboard components and does not require assembly. 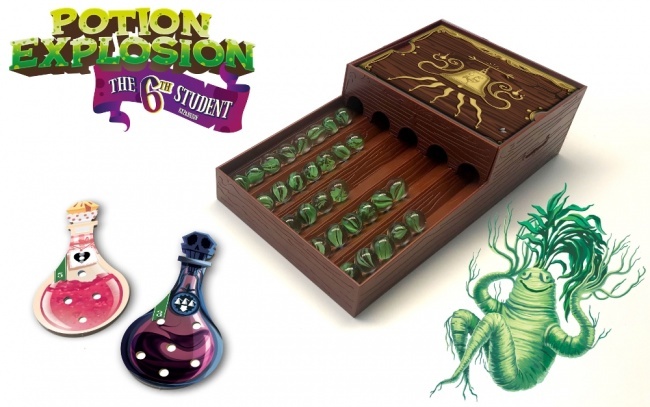 Potion Explosion: The 6th Student expansion also includes a new plastic dispenser – so owners of the current game do not need to purchase the new one to upgrade the base game. The 6th Student also introduces a new game mode, which allows for 5-6 players, and includes using two dispensers on the table. There are also two new potions focusing on sharing ingredients (either willingly or not) and a new “wild” ingredient – Mangradora Leaves. The Mangragora marble works as an additional color when triggering explosions (though they only explode when colliding with each other) and can be used as a wild card when mixing potions, though they cannot be mixed with any other ingredient. 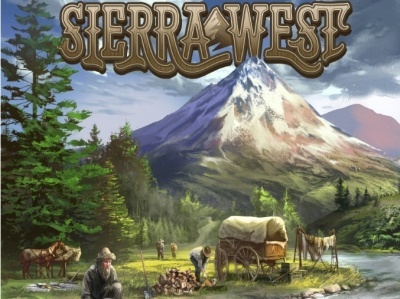 The expansion is compatible with both editions of the base game, as well as the Potion Explosion: The Fifth Ingredient (see “'Richard the Lionheart,' 'Meeple War,' 'Potion Explosion: The Fifth Ingredient,' More”). 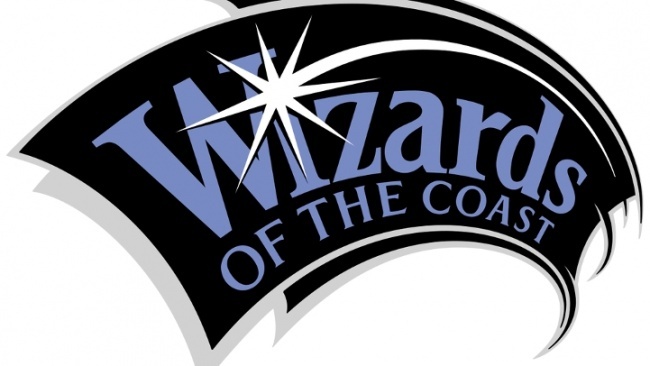 CMON releases Potion Explosion in the U.S. (see “'Potion Explosion' Game Night Kit”). CMON confirmed plans to release the second edition and expansion in the U.S., but details have not been finalized.